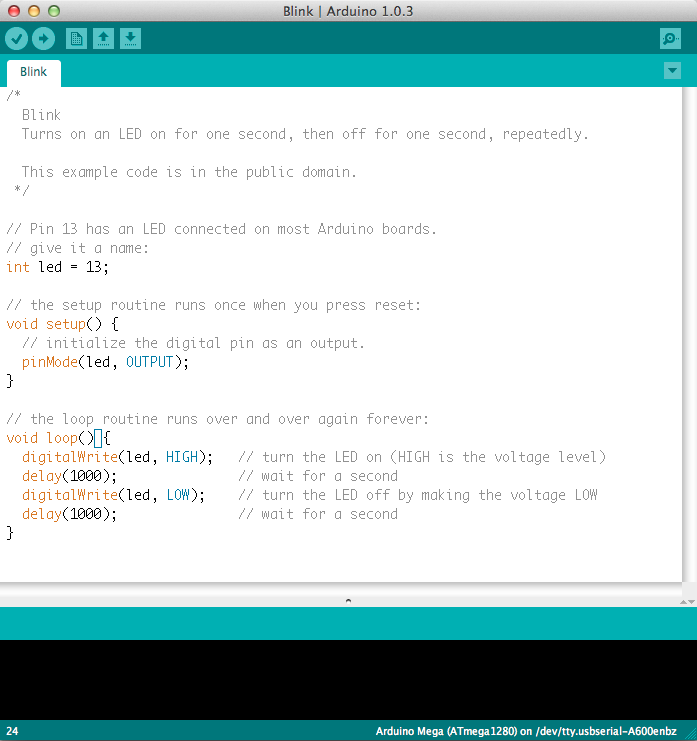 and, of course, you can find plenty of tutorials at our main website at learn.sparkfun.com. 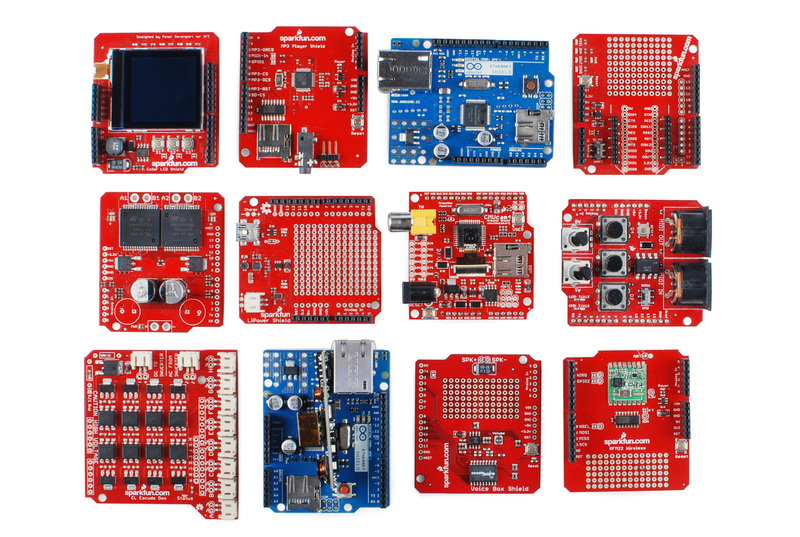 At SparkFun we use many Arduinos and we’re always looking for the simplest, most stable one. 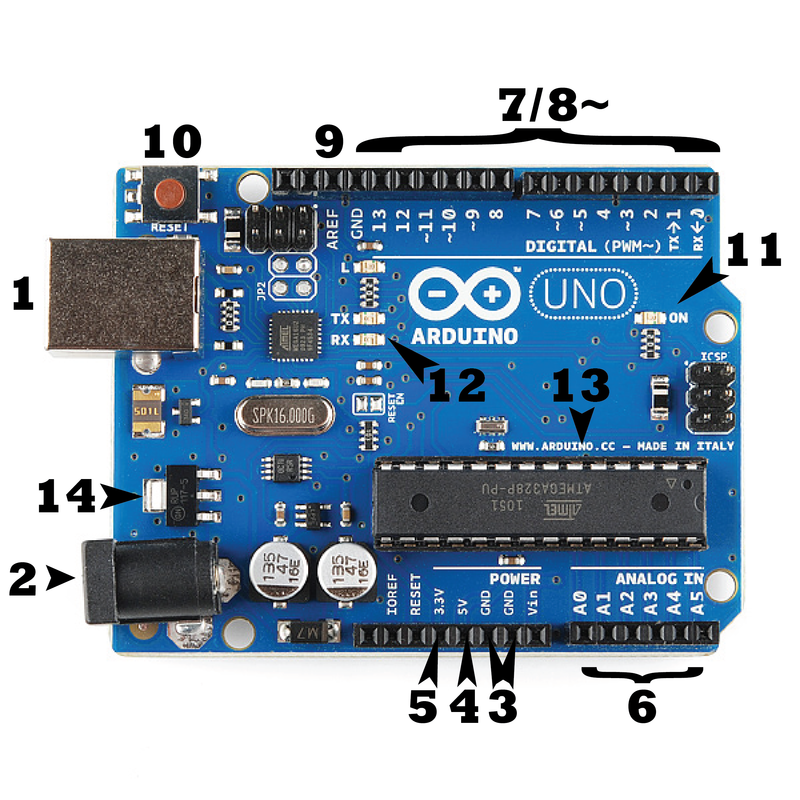 Each board is a bit different and no one board has everything we want – so we decided to make our own version that combines all our favorite features. 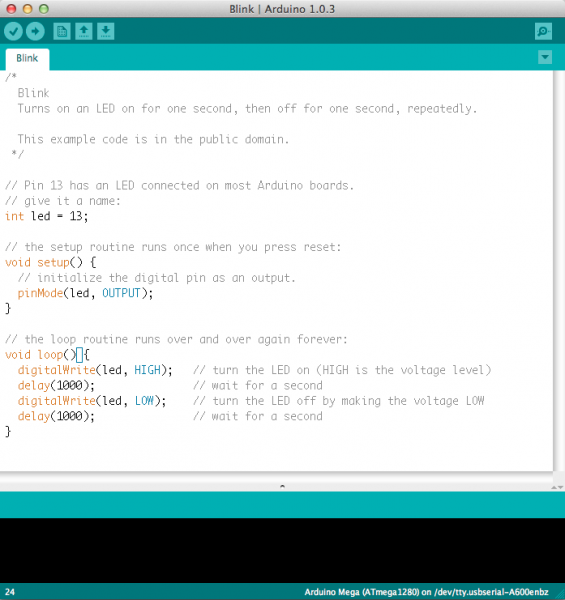 The RedBoard can be programmed over a USB Mini-B cable using the Arduino IDE. 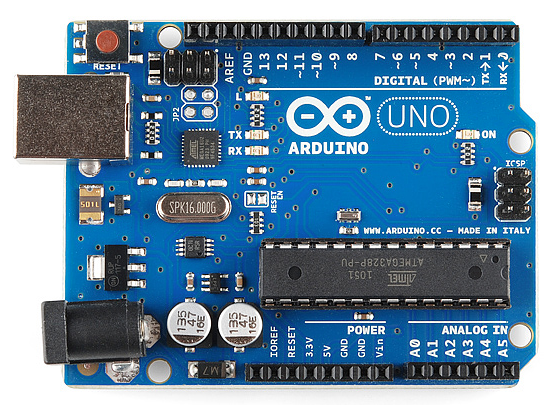 It’ll work on Windows 8 without having to change your security settings (we used signed drivers, unlike the UNO). 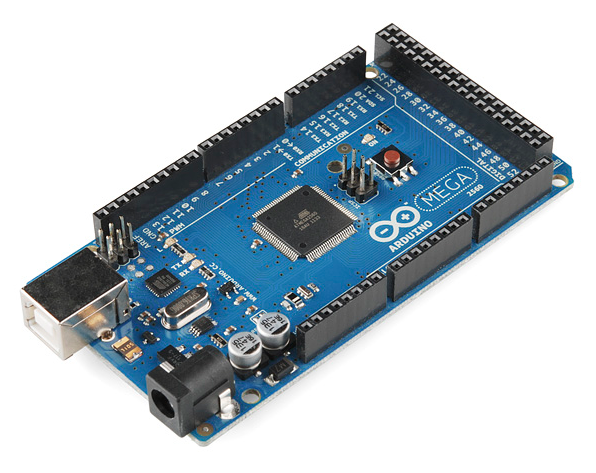 It’s more stable due to the USB/FTDI chip we used, plus it’s completely flat on the back, making it easier to embed in your projects. 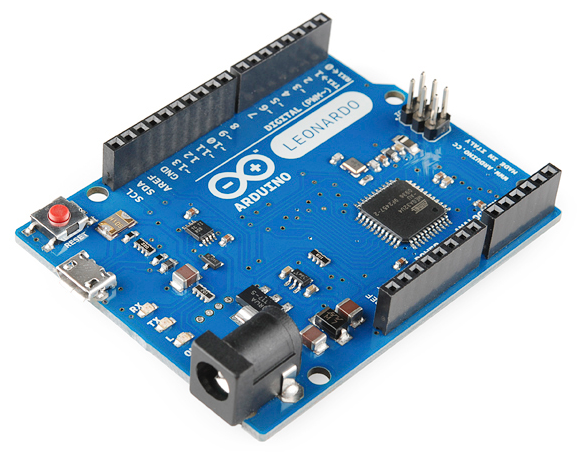 Just plug in the board, select “Arduino UNO” from the board menu and you’re ready to upload code. 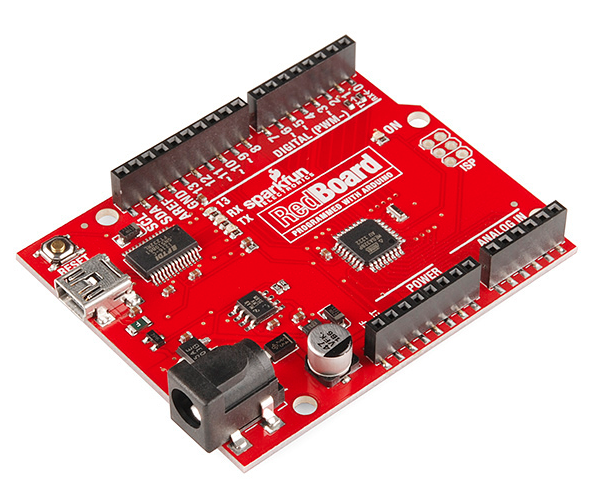 You can power the RedBoard over USB or through the barrel jack. 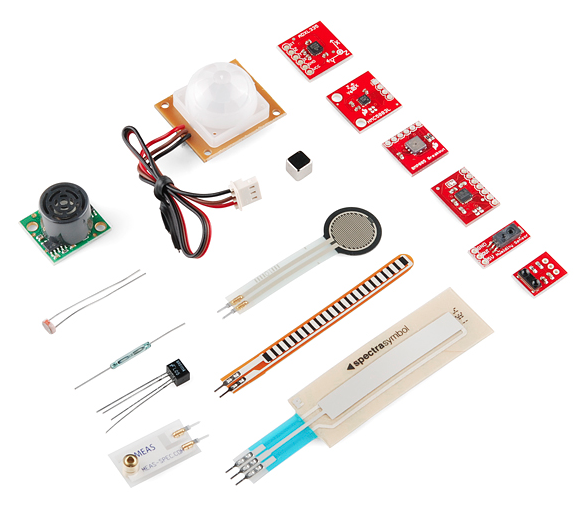 The on-board power regulator can handle anything from 7 to 15VDC. 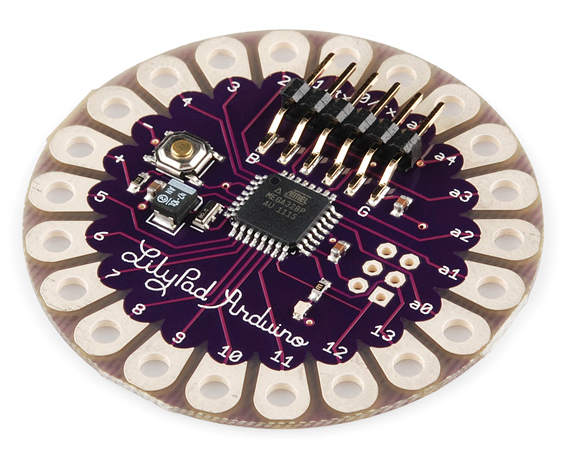 Additionally, there are these things called shields – basically they are pre-built circuit boards that fit on top of your Arduino and provide additional capabilities – controlling motors, connecting to the internet, providing cellular or other wireless communication, controlling an LCD screen, and much more.